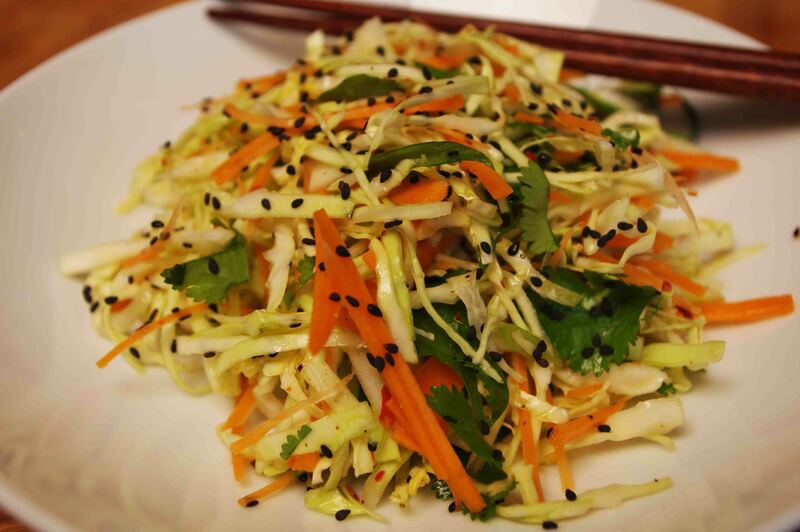 "A great twist on cabbage salad. The peanut butter in the dressing is the secret." In a medium bowl, whisk together the rice vinegar, oil, peanut butter, soy sauce, brown sugar, ginger, and garlic. In a large bowl, mix the green cabbage, red cabbage, napa cabbage, red bell peppers, carrots, green onions, and cilantro. Toss with the peanut butter mixture just before serving. You may eliminate the Peanut Butter and use Sesame oil and toasted sesame seeds instead.